Yes, you read that right: An established comedy star and a hot up-and-coming comedy star are joining forces for a film, and it’s a...crime drama? 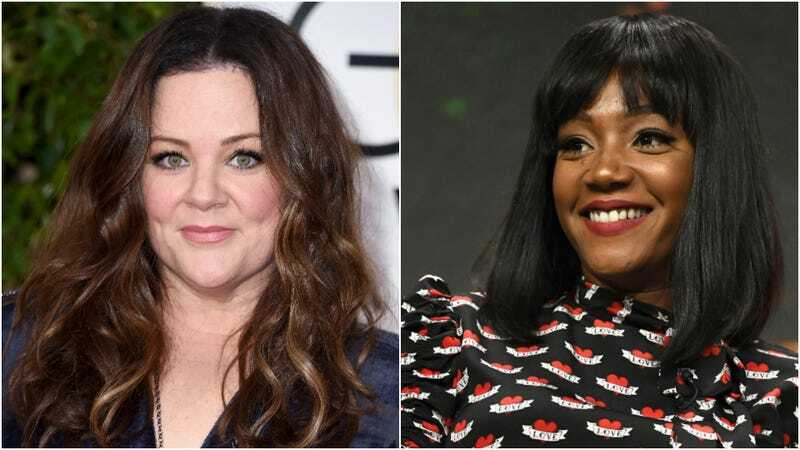 Variety reports that Melissa McCarthy and Tiffany Haddish are set to co-star in Straight Outta Compton writer Andrea Berloff’s directorial debut, The Kitchen. Based on the Vertigo comics series, The Kitchen takes place in the Mafia-controlled underworld of ‘70s New York City, where three women decide to take over their husbands’ Hell’s Kitchen racket after the men are caught up in an FBI sweep. Big money and vicious violence ensues. It’s not clear if, by casting McCarthy and Haddish, Berloff is planning a more comedic take on the material. But for what it’s worth, Deadline calls the film “gritty” and McCarthy’s first “straight ahead dramatic turn,” and The Hollywood Reporter says the film “is offering McCarthy and Haddish a chance to show their dramatic chops.” The role of the third mob wife has yet to be set, but given how wild the casting of this film has been so far, it’s bound to be interesting.